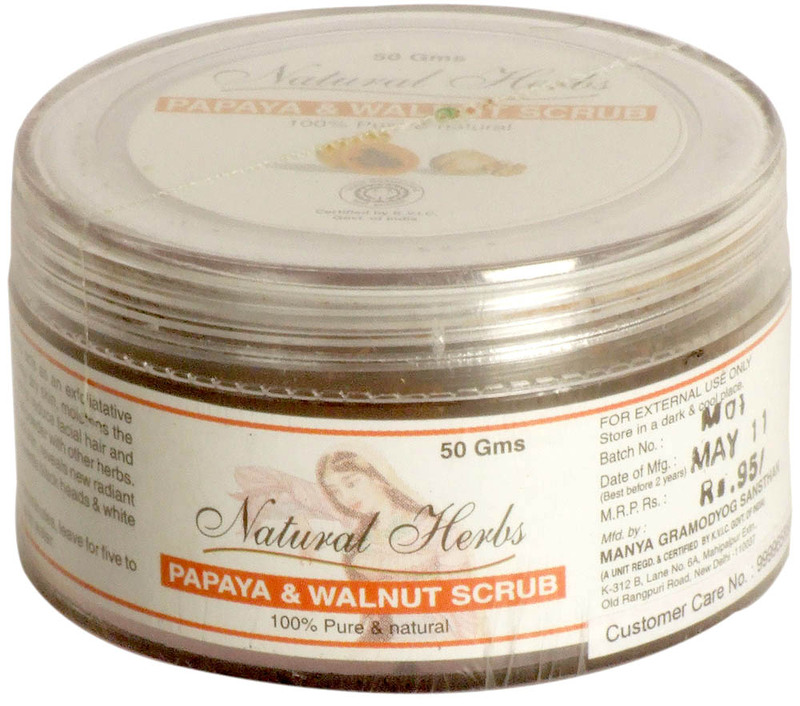 Natural herbs papaya & Walnut scrub acts as an exfoliatative agent removes dead cells & peels away dry skin moistens the skin. Brings out fair complexion helps to reduce facial hair and freckles. Contains Papaya walnut shell powder with other herbs. Use twice in week to remove dry dead skin reveals new radiant skin cleans deeply embedded dirt prevents black heads & white. Apply with wet hands & massage for two minutes leave for live to ten minutes then wash with normal & plain water.